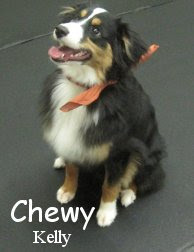 Fort Fido Dog Daycare & Boarding News Blog: Chewy! There is no doubt that this morning's assessment was a winner. The delightful Chewy started today and he did excellent! I'm partial to Aussie's and Sheltie's so that definitely helped him hahaha... He is a Tri-colored, Miniature Australian Shepherd mix, 28 pounds and eight months old. My guess is that the mix is Shetland Sheepdog but who knows? Check out some clips of Chewy below, he fell in love with our little Boston Terrier mix Sofee, she can give any dog a run for it's money! P.S. 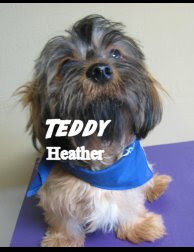 Mr. Teddy, a Shih Tzu/Daschund mix, is two years old today. Happy Birthday Ted! Bella, Benny & Jake fun! Doggie Heroism and some clips. Welcome Sojie and Congrats Louis! Clip of Garrett in action!